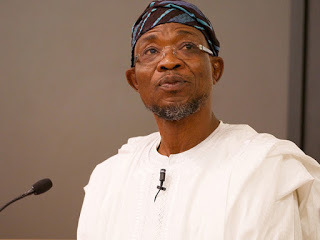 The new protest was staged to press for more payment from the government of Ogbeni Rauf Aregbesola. Following the payment of over N5.1billion to workers by the state Government of Osun, pensioners under the aegis of Forum 2011/12 retired public servant in Osun staged a protest demanding for more payment from the government. The protest which coincided with the 3-day Fidua prayers for Alhaja Saratu Aregbesola, mother of the governor who died on Tuesday, was staged to press home more payment from the government of Ogbeni Rauf Aregbesola. The pensioners, who converged at the entrance of the state's secretariat, were seen discussing with no placards to drive home reasons for their protest. Recall that the state government committed N5.1 billion out of the N6.3 billion from the second tranche of the Paris club refund received from the federal government for the payment of salaries and pensions. It was gathered that the workers, pensioners inclusive, have since been receiving credit alerts of payment of the agreed payments reached with the various unions. The government reached the sharing formula through the state's Revenue Allocation Committee, led by Hassan Sunmonu, in conjunction with labour unions in the state. It was learnt that the unions agreed to the decision to pay the arrears of July and August 2015, the balance of leave bonuses of 2015 to workers in grade level 8-17 who had been receiving modulated salaries, as well as the July 2017 salary and pension entitlement to all workers in the state. Prince Rotimi Adelugba, the Chairman of the Triangular Group of Pensioners in Osun state described the latest protest embarked upon by a faction of pensioners as 'sponsored', describing their conduct as unnecessary and a plot to undermine the good intention of the government. He said the state government has paid the salary of all workers in the state up to July 2017 in line with the agreement made between it and the labour union. According to him, the state government and the labour union met and decided that the state should pay July and August, 2015 balance of the modulated salaries of workers whose pay had been on modulation since 2015. The Osun Triangular Pensioners Chairman warned those that are preoccupied in sowing seed of discord with aim of heating up the polity and inciting the populace against the government to desist in the collective interest of all in the state. Prince Adelugba opined that at a time when the whole state is in mourning over the death of the illustrious mother of the governor, it is only fair that they sympathize with him and the government, rather than put up a show of shame. In an interesting twist, one of the protesters, who dressed like an Islamic cleric was spotted with a black goat, for yet to be identified purpose. Policemen on ground had to bar the man from slaughtering the animal.